The official number of the casualties at the Battle of Antietam is most often given as 23,110. A couple of weeks ago, I really thought I was going to be #23,111 and die there. It was a misty Saturday morning when I met and hosted a school bus load of boy scouts and leaders from the Philadelphia area who had camped nearby overnight. The weather was not too terribly bad for the opening 30-minute orientation talk, but as we began to ride around the Park, the precipitation went from a drizzle to a steady rainfall. After close to an hour on wheels, I needed to get the boys out of the bus for a while, since all of the windows were fogging up. So, I thought it would be a very Boy Scout sort of thing to do to climb the tower at Bloody Lane. It would burn some energy, be fun, and provide a sheltered place for me to continue talking. 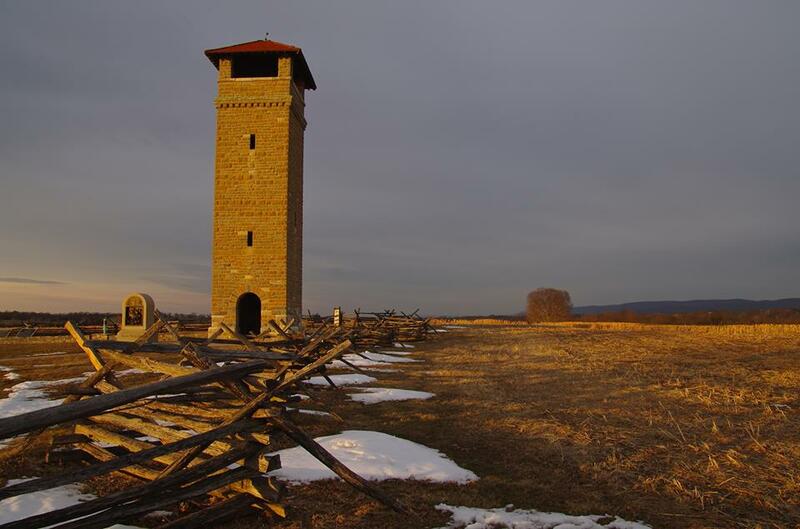 Going up the tower is only rarely a part of an actual tour given by our Antietam Battlefield Guides organization. At the top, I was out of breath … but worse than that, some elephant came along and sat on my chest and my eyes were in and out of going dark – I was dizzy and fighting to stay conscious. Somehow, in the couple minutes it took for the whole gang to make it to the top, I managed to recover enough to gasp my way through a narrative of what could be seen. But in my mind, I was thinking that this could be the end – I was going to die at Bloody Lane on the Antietam Battlefield! It’s not like that has never been done before! Total casualties at that part of the field numbered 5,500 on September 17th of 1862. There is almost something romantic about dying where your ancestors did! Actually, I may have had a direct ancestor who fought at this location in the 132nd Pennsylvania Regiment. He has the correct last name from the correct county in PA … though I’ve never been able to connect the line directly. William Parks did die three months later from his wounds at the Battle of Fredericksburg … a story that I’ve previously written about HERE. So anyhow, there are worse places to die than Antietam, but I’m glad to be alive and to be able to still host folks who visit one of America’s most sacred treasures. I am also far from alone upon the making of such contemplations on that same site. The letters of Civil War veterans – often written on the eve of battle and arriving in homes far from the field and after the news of their death was known – are filled with the contemplations of the brief and passing nature of this world relative to the eternal home of those who know God. 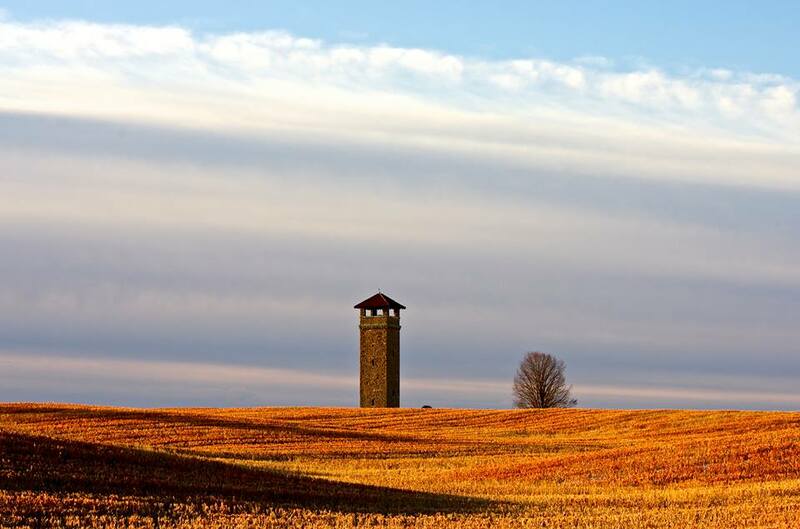 Posted by Randy Buchman on April 15, 2014 in Antietam / Battlefield Guides and tagged 132nd PA, Antietam, Bloody Lane, Death at Bloody Lane. Welcome back. I read every one of your posts and must admit that I have missed them of late. Also hope that climbing the tower physical results were an anomaly and will only happen once. Hope to see you at the visitor’s center someday soon. Tks for sharing this experience, Randy & tks for the spiritual connection to your experience. It’s a reminder that we all need to keep in mind. I had a similar experience in the Bloody Lane many years ago, but I knew exactly what it was at the time. Rather than the ‘elephant’ sensation, mine was a feeling of having the life sucked out of me through my feet. Although frightening at the time, I considered it a ‘life experience’ and I’m grateful for the connection.